Win! A £50 gift voucher for The Literary Gift Company! To celebrate the release of Holly Kingston’s hilarious Christmas novella, A Cinderella Christmas, which is currently only 77p on Amazon, we’re giving away fabulously festive prizes every day until Wednesday 4th December. 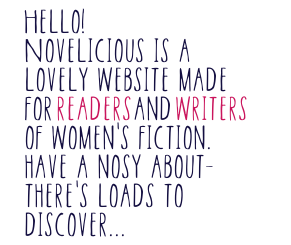 On the twelfth day of Christmas, Novelicious gave to me … a £50 gift voucher for The Literary Gift Company! Win! A Christmas Baking Hamper from Steenbergs Organic! On the eleventh day of Christmas, Novelicious gave to me … a Christmas baking hamper from Steenbergs Organic! Win! A Case of Wine from Naked Wines! On the tenth day of Christmas, Novelicious gave to me … a case of 12 mixed, medal winning wines from Naked Wines! Win! Designer Shoes from Daniel Footwear! On the ninth day of Christmas, Novelicious gave to me … a pair of designer shoes from Daniel Footwear! Cinderella shall go to the ball … and she won’t be wearing flimsy glass slippers. No, siree. Yesterday we were giving away the party dress, today we’re giving away the shoes. Daniel Footwear is offering you the chance to win £50 to spend on a new pair of designer shoes or boots of your choice. Win! A Christmas Party Dress from Fever London! On the eighth day of Christmas, Novelicious gave to me … a lovely Christmas party dress from Fever London! You know when you’ve been invited to a really swanky Christmas party, but you have nothing to wear? And you could go shopping, but it’s cold outside and you’re sort of at a pretty exciting point in your book? We’ve got you covered. Win! Christmas Dinner Delivered from Hello Fresh! On the seventh day of Christmas, Novelicious gave to me … an entire Christmas dinner delivered from Hello Fresh! Weeks of planning, endless nights of recipe gathering in front of the computer screen, and whole afternoons lost to elbowing fellow shoppers out of the way for the perfect sprout or turkey. Christmas dinner, while delicious, can be stressful. Win! A Print from Spineless Classics! On the sixth day of Christmas, Novelicious gave to me … a literary print from Spineless Classics! Today, we’ve teamed up with Spineless Classics to give you the chance to win a print of your choice from its extensive collection of book posters. If you haven’t seen these before, they are lovely pieces of wall art created from the full text of a book. All of the prints in the collection have a design significant to the book too, making them instantly recognisable. There is a large and diverse range to choose from including The Great Gatsby, James and the Giant Peach and Brave New World. Gorgeous. To enter, simply tell us what your favourite pantomime is in the comments below. The competition will close for entries at midnight on Wednesday 4th December and is for UK residents only. Really, really want to win? Head over to our Facebook page and share this competition post for a bonus entry. GET YOUR COPY OF A CINDERELLA CHRISTMAS BY HOLLY KINGSTON. Win! A Festive Weekend Break in Edinburgh! To celebrate the release of Holly Kingston’s hilarious Christmas novella, A Cinderella Christmas (currently only 77p on Amazon), we’re giving away fabulously festive prizes every day until Wednesday 4th December. On the fifth day of Christmas, Novelicious gave to me … a festive weekend break in Edinburgh for two! Yes, we’re offering our lucky winner a two-night stay in the luxurious Brooks Hotel, located in the West End of Edinburgh, and a whole host of activities for a fun-filled, festive weekend. We think Edinburgh is a pretty perfect place to soak up some Christmas cheer; glittering lights, fairground rides, ice skating and the gorgeous German Christmas Market … you’re going to pack us in your suitcase, right? Win! A Kobo Glo eReader! To celebrate the release of Holly Kingston’s hilarious Christmas novella, A Cinderella Christmas, which is currently an bargain at 77p on Amazon, we’re giving away fabulously festive prizes every day until Wednesday 4th December. On the fourth day of Christmas, Novelicious gave to me … a Kobo Glo eReader! Win! A Festive Feast Christmas Hamper from Delimann! On the third day of Christmas, Novelicious gave to me … a Festive Feast Christmas Hamper from Delimann! If you’re anything like us during the holidays, you intend to have a neat and tidy house when guests drop by unannounced. You aim to be wearing a nice, clean shirt that doesn’t have ink stains all over it. And you always mean to have freshly baked goods cooling on your window ledge when your neighbour pops in with a Christmas card and a tin of Cadbury’s Roses. But it doesn’t quite work out like that. We have research to do, word counts to meet and, sometimes, we just can’t tear ourselves away from that really awesome book we’re reading. Win! A Real 7ft Christmas Tree delivered to your door! On the second day of Christmas, Novelicious gave to me … a real Christmas tree delivered to your door by Pines and Needles! Is there anything more festive than the smell of fresh pine in your living room when you wake up on a winter morning? That said, with ice and snow getting in your way, trying to lug a seven foot tree up the street and into your car can be quite the task. We've arranged for Pines and Needles to deliver a gorgeous Nordman Fir right to the door of one winner, while you stay at home in the warm and eat some mince pies. Guys, we think we’ve gone a little overboard with Christmas this year. We got so excited about the release of Holly’s Kingston’s festive novella, A Cinderella Christmas, that we sort of went a bit present mad. In fact, we have more gifts for you than we can handle, so we’re going to be giving one of them away every day for the next twelve weekdays. 12 Days of Christmas, if you will. Check back here every day at 12pm to see what’s on offer. You won’t want to miss a day as we have some seriously cracking prizes to be won. On the first day of Christmas, Novelicious gave to me … a Christmas cooking class at Leiths School of Food and Wine!